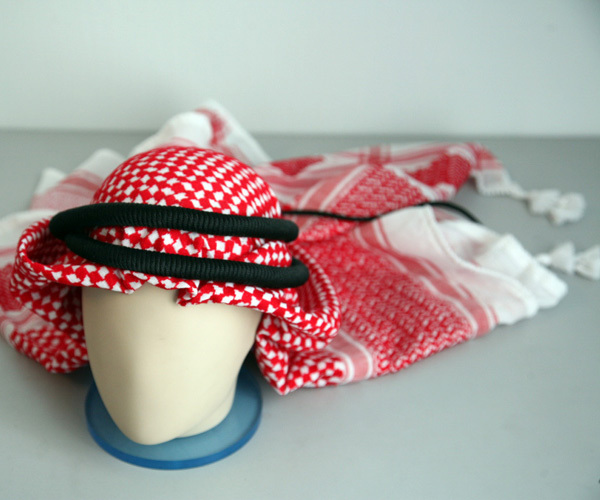 The famous Arabic headscarf has many names in the Middle East. It is called keffiyeh, shemagh, Guthrie, hatta, etc. It comes in variety of colors: on the Arabian Peninsula they prefer pure white keffiyeh, in Egypt and Syria they caught on the red ornament, and in Palestine it is black. The colorful headscarves of the Yemenis are related to the keffiyeh. 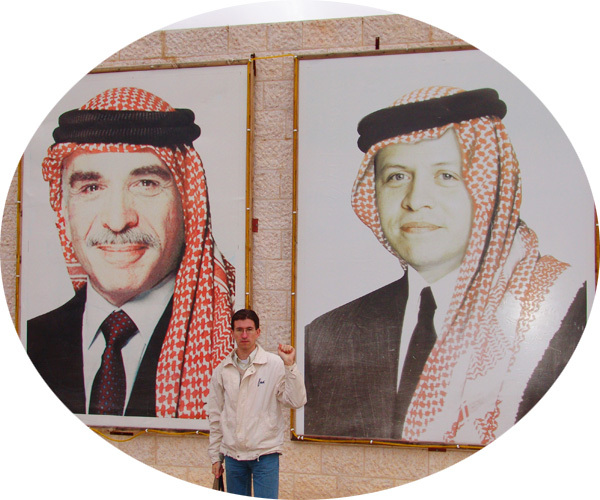 In Jordan, Palestine and central Arabia the keffiyeh is supported by a special black hoop rope called the agal. The keffiyeh is also worn by the Kurds of Iran and Syria, and before it could be seen on the Jews of Palestine and Yemen; however, their style of wearing it was much different.